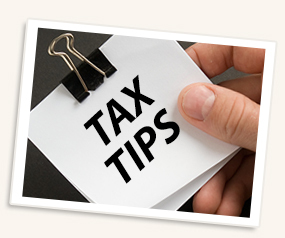 Tax Tips and Tidbits February 11, 2017 By Steven R. Anderson E.A. This week we are talking about the deductions for taxes paid. There are four types of taxes that are deductible as itemized deductions. State and Local Income Taxes OR sales taxes, real estate taxes, personal property taxes, and foreign income taxes..
A taxpayer can elect to deduct either state and local sales taxes or state and local income taxes, but not both. Withholding reported on 2017 Forms W-2, W-2G, 1099-G, 1099-R, and 1099-MISC. Taxes paid in 2016 for a prior year, such as the balance due paid when filing the 2015 state income tax return or a balance due when amending a prior year state income tax return. State and local estimated tax payments made during 2016, including the prior year refund credited to 2016, and prior year estimated payments made during 2016. Example: The fourth quarter 2015 estimate paid in January 2016. Mandatory contributions made to the California, New Jersey, or New York Non-Occupational Disability Funds, the New Jersey, Pennsylvania, or Alaska Unemployment Compensation Funds, or the Washington State Supplemental Workmen’s Compensation Fund. 1) Actual taxes paid. The actual taxes paid (from receipts, invoices, etc.) but only for purchases where the tax rate is the same as the general sales tax rate. 2) The amount from the optional state sales tax tables. An additional amount for local general sales taxes is allowed if the taxpayer’s locality imposes a general sales tax, plus taxes paid on motor vehicles, aircraft, boats, homes (including mobile and prefabricated homes), or materials to build a home. In New York, the state sales tax rate is 4%. In Dutchess County, the local sales tax rate is 4.125%. Real estate taxes are deductible as itemized deductions, but only if the taxpayer owns the real estate and the taxes are based on the assessed value of the property. If a mortgage company pays the taxes from an escrow account, deduct the taxes actually paid on behalf of the taxpayer, not the amount the taxpayer paid into escrow. Unlike mortgage interest, the real estate tax deduction is not limited to the first two homes. Personal property taxes are deductible if based on value alone and are charged on a yearly basis. Example: Jesse paid $99 for the registration of his car in 2017. $64 of the fee was based on the car’s value, and $35 was based on its weight. His deduction is limited to $64. New York does not have a personal property tax, but Connecticut does. This is a fairly complex topic. Foreign income taxes can be taken as a deduction, but there is also a credit available, which may be better.